The need to provide secure document delivery is becoming ever more important. The Docusoft Portal will deliver documents using industry-standard encryption so that clients can access them using a browser login. They can then review, print, e-sign and electronic approve documents for automated return to sender. They can even receive automated reminders to request the approval, and upload documents through the Portal too. Key features include secure document delivery, electronic approvals, automated email reminders and e-signature. 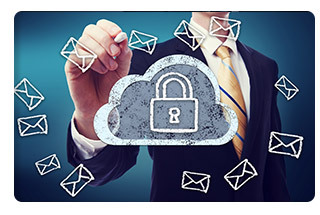 Sending documents by email is not a secure delivery method and considered a security risk. Regulations stipulate private, sensitive and personal information must be treated with the utmost care and security. Signing documents is acceptable binding business practice for many and electronic signatures are used by many businesses. Accountancy, Legal, HR, Business Recovery, in fact anyone who needs to send private information for review, approval or signature can use the Docusoft Portal for secure document delivery and document exchange. The Docusoft Secure Portal offers businesses, a secure method to deliver personal, sensitive and private documents to their clients. Using industry-standard encryption and individual user accounts and passwords, clients log in to review, comment, print, download, upload and electronically approve documents. Once actioned, documents are automatically returned to the sender. The Docusoft Secure Portal can even send clients automated reminders to review their documents. For a business, the portal provides proof of when and what was sent. This includes the date and time a document is sent, a document due date, the number of times a client views a document and the document approval status. All communication comments are logged and all approvals/disapprovals are certified.